This is irrespective of what is happening in the market. Of late, Investors who have been investing under the Systematic Investment Plan over the past one year have been getting nervous as they see their investments nose dive. Systematic Investment Plan (SIP) is a method of investing in the money markets by accumulating a fixed amount in a mutual fund every month. This is irrespective of what is happening in the market. Of late, Investors who have been investing under the Systematic Investment Plan over the past one year have been getting nervous as they see their investments nose dive. The current turbulence has caused many investors to reduce their exposure to the markets by discontinuing their SIPs in a falling market. However this may not be the best alternative, here is why you should not sell your SIP yet. By investing a fixed amount every month over a period, you acquire more units when the markets are down and fewer units when the markets are up. This is the classic investors approach, buy more when low and sell when high. When the markets bounce back, you will have gained from the entire swing. 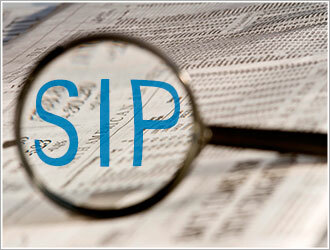 With SIPs, you benefit from the concept of cost averaging i.e. when markets fall you buy more units at lower prices and vice versa. As you spread your investment over a longer period of time (say 5 to 10 years) it averages out the cost of purchase. Cost averaging helps investors not to dive in the practice of correctly timing the markets. Regardless of when you start investing whether markets are at a peak or at a low, SIP returns will not disappoint you. Whether you invest as a lump sum or SIP, the chances of losing money over the long term are almost zero. A quick check of the performance of SIPs (over the last 10 years) shows that investors who invested a lump sum for 5 years recovered their investment in full plus an appreciable profit. The current market downturn for many is resonant of the 2008 market dip. Painful memories may still linger over mutual funds that lost value by over 50%. The market crash fueled by wrong decisions, such as pulling out a lump sum invested when markets were low and short-term (1-2 years) investments through SIPs or a lump sum compounded the losses. It is always advisable to ride the market downturns and cultivate your wealth over the long term.